The early issues of Punisher’s first solo ongoing are clearly the inspiration for his Marvel MAX books decades later. They’re gritty, and the stories are based on real (or vaguely realistic) crimes and criminals. In the first two issues, Frank Castle returns to his Vietnam War roots by linking up with an old service buddy to track down a former VC General who is now selling drugs in New York. The cover to #1 is a classic. 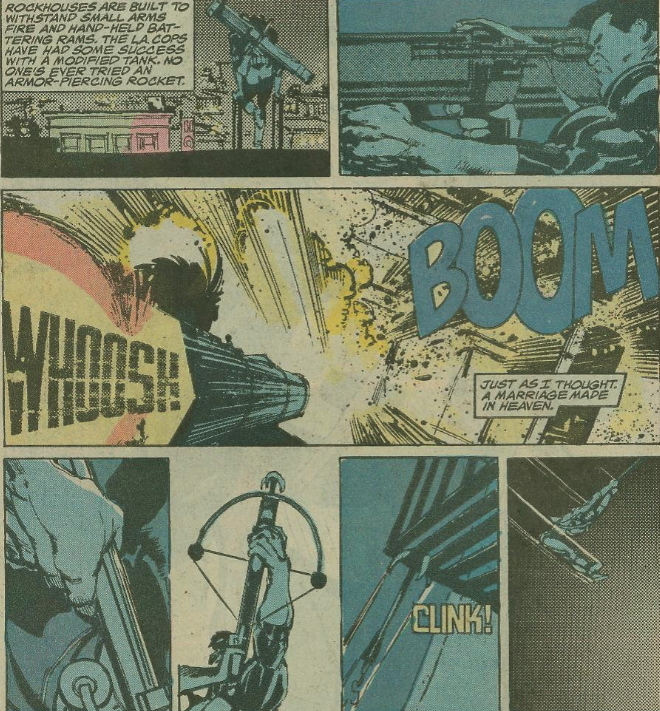 …And the interior art by Klaus Janson borrows heavily from Janson’s days with Frank Miller. And there’s absolutely nothing wrong with that. HAPPY ANNIVERSARY, SUPERMAN AND LOIS!